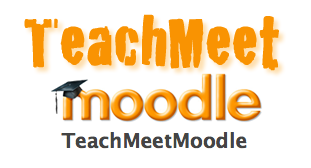 Today I gave a presentation to fellow Moodlers at the first ever TeachMeet Moodle which was organised by Dan Humpherson (@MoodleDan) and was hosted at Heythrop College in Kensington, London. The Meet kicked off at 11:00 with speed “dating” networking followed by a series of excellent and varied presentations. The Twitter hash tag for the event is: #TMMoodle.and you can see a complete archive of the tweets here. All the details about the Meet can be found here, including a list of attendees, presentation titles and discussion topics. Below is the recording of my presentation: Blended Learning: How Moodle changes the learning inside and outside of my classroom. Thanks to Leon Cych (@eyebeams) for recording all of the presentations. During my presentation I briefly discussed my belief that Moodle brings the ‘learning spaces’ of the campfire, watering hole and cave into one place, blending them together. My understanding of these concepts represent my response to reading David D. Thornburg Ph.D.‘s ‘Campfires in Cyberspace’. You can read it here and see an extensive mind map that I created exploring the ideas put forward by Thornburg here. Honourable mentions also go to Miles Berry (@mberry) for his presentation about using Moodle to teach teachers about e-learning (and for being a really nice guy); Daniel Needlestone (@nstone) who kept it light-hearted with his ‘Mallards and Moodle’ presentation; and Helen Morgan (@nellmog) who made a strong case for form being as important as functionallity within a Moodle course. You can see their presentations (and the rest) here. I would like to say thanks to everyone involved. It was my first TeachMeet and I thoroughly enjoyed it. Anticipating and looking forward to the next one.